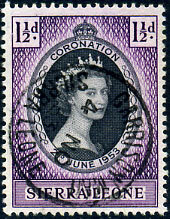 (210.02) 3 OC 53 on QE2 1½d Coronation (SG.209). 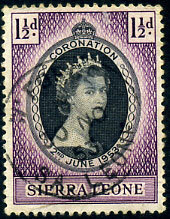 (024.01) */27 JU 53 on QE2 1½d Coronation (SG.209). 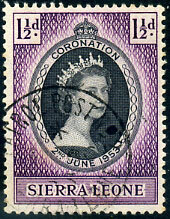 (158.04) */30 NO 53 on QE2 1½d Coronation (SG.209). 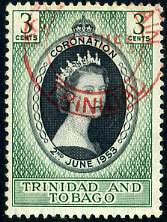 (151.01) */13 JY 53 on QE2 1½d Coronation (SG.209) fragment. 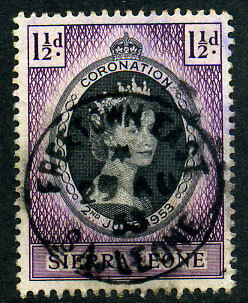 (126.02) A/4 AU 53 on QE2 1½d Coronation (SG.209), corner perf. fault. 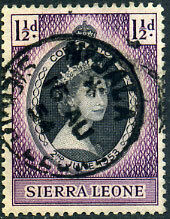 (320.04) 4 NO 53 on QE2 1½d Coro (SG.209). 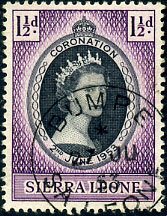 (121.02) */16 AU 54 on QE2 1½d Coro (SG.209). 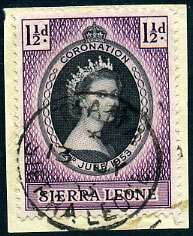 (T.17) dated OCT 18 1953 on QE2 2d Coro (SG.165). 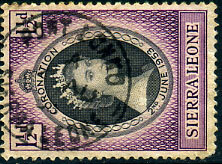 (035.61) */29 AU 53 on QE2 1½d Coro (SG.209). 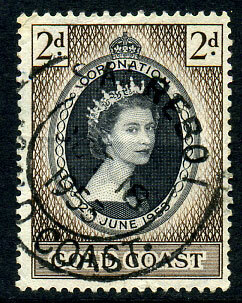 (126.02) scarce A/29 OC 53 on QE2 1½d Coronation (SG.209). 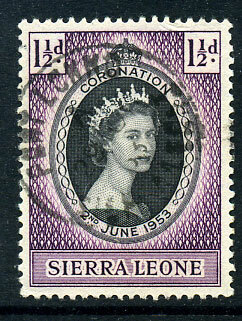 Rare and probably the LOKKO spelling only available for QE2 on this issue.